1. The log measurement is required to be taken up for each piece converted after tree felling. 2. A log serial number for each tree is to be maintained serially in ascending order from ground level to upwards. 3. A marking of each log with serial number may be made along with tree serial number. 4. 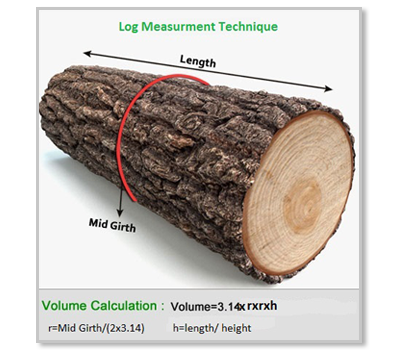 The mid-girth of the log may be calculated after removing the bark and recorded with the length of the log for volume estimation. 5. The marking may be taken up after removing the bark by making a blaze on the log surface.